Headquarters of Johnson and Johnson, manufacturer of bedaquiline. Controversy has broken out in India regarding access to two treatments that are used to address drug resistant tuberculosis (TB). The medications, bedaquiline and delamanid are all but unavailable in India, with fewer than 1,000 DR-TB patients in India receiving bedaquiline and only 81 receive delamanid. This has led to calls for the issuing of a compulsory licence so that generic versions could be produced within India without the permission of Johnson & Johnson and Otsuka, the drugs’ respective developers. Each year, 600,000 cases of drug-resistant tuberculosis are diagnosed. This includes 490,000 cases of MDR-TB. These cases are highly difficult to treat and make the goal of a TB-free world by 2030 more difficult to attain. Treatments for MDR-TB are desperately needed. When a prospective treatment for MDR-TB is announced, it faces high expectations with calls of “miracle cures” commonplace among media reporting. However, could the use of terms such as miracle cure be damaging? Use of such terminology almost implies that the situation is resolved, that a conclusive cure has been found. However, in the case of bedaquiline this is not so. While the drug has been shown to be one of the only medicines available that is effective against MDR-TB, it is not without its risks. Bedaquiline: pushed through development pipeline despite associated risks? 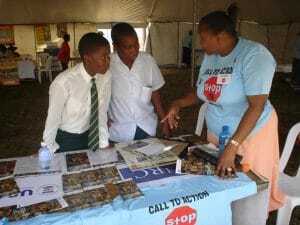 USAID workers raising awareness of TB in South Africa. Bedaquiline is the first medication since rifampicin in the 1960s to have been developed specifically for the treatment of TB. Its development follows the increasingly common reporting of strains of TB resistant to rifampicin, as well as other first line therapies such as isoniazid. Bedaquiline differs from previous TB treatments due to its mechanism of action. The drug specifically targets an enzyme within the Mycobacterium tuberculosis bacteria called ATP synthase. The ATP synthase enzyme is responsible for the conversion of adenosine diphosphate, along with an inorganic phosphate molecule to create adenosine triphosphate, or ATP. ATP itself is used in chemical reactions within the body — or in the case of TB, the cell — as a source of energy. ATP can be seen as a form of “energy currency” within organisms. By acting directly on the ATP synthase enzyme, bedaquiline effectively cuts off the energy production mechanism of the bacteria, and so gradually causes it to die. Bedaquiline has undergone stage II human trials, though has not yet made it to stage III trials. It is for this reason that its use has come across some criticism. The drug received FDA approval towards the end of 2012 despite not having completed stage III trials. This led some to believe it was being pushed through the development pipeline in order to address the rising issue of MDR-TB. The drug showed a positive performance during its stage II trials. In the two-stage phase II trial 47 patients were randomly assigned to receive eight weeks of placebo or bedaquiline in addition to the background MDR-TB treatment regimen. 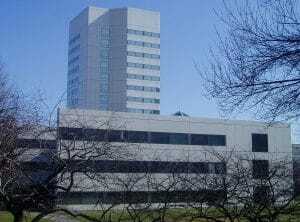 Following the eight week trial period it was found that 48 percent of bedaquiline treated patients were testing negative for TB, far higher than the nine percent in the placebo group. In another stage II trial conducted over a longer, 24-week period, bedaquiline was also shown to have positive effects. At the conclusion of the trial, 79 percent of bedaquiline treated patients tested negative for TB, compared to 58 percent in the placebo group. Also noted was that the average time taken to test negative for TB was shorted in the treatment group, at 83 days versus 125 days in the placebo control group. Despite positive results these stage II trials unveiled an issue which would overshadow bedaquiline’s rollout and cause constant questioning of its safety. During the trial people being treated with bedaquiline were more likely to die than those in the control group. This issue has been noted by the World Health Organization, which recommends active monitoring of anyone taking the medication. The deaths have not been directly attributed to bedaquiline. However, there is suspicion that the deaths may relate to disturbances in heart function. QTc prolongation, or changes to the heart’s electrical activity. These are known side effects of bedaquiline. This could, in theory, cause a risk of mortality to those with pre-existing heart conditions. Another drug focused on the treatment of MDR-TB, delamanid, has had no such issues with safety. Unlike bedaquiline, delamanid showed few side effects. Crucially, it did not show any adverse interactions with other drugs for the treatment of conditions such as HIV. A large scale phase II trial released in July 2012 showed that delamanid, along with a background treatment regime, gave positive results. After two months, 45.4 percent of patients treated with delamind were TB negative compared to 29.6 percent of placebo controls. Treatment with delamanid gave more favourable results over a longer treatment period, with around 75 percent testing TB negative after 6 months compared to the 45.4 percent after only two months. These findings led the WHO to include delamanid in their list of second line drugs to be used for the treatment of drug-resistant TB. It is recommended by the WHO that delamanid be used exclusively in the long term treatment of MDR-TB. Results indicated that at six months 87.6 percent of those being treated with delamanid along with background treatments were TB negative. The placebo control group, only receiving the background treatments were 86.1 percent TB negative. Such a negligible difference could indicate that the background treatment itself is the factor reducing TB cases, and not delamanid. Drug resistance in TB is a growing issue, as it is with many other diseases. However, media sensationalism without first awaiting the results of trials — or in some cases despite the results of these trials — does nothing to help address the situation. What is known is that drug resistance is projected to rise considerably. A study published in The Lancet has projected MDR-TB to reach a 12.4 percent prevalence in India by 2040. Along with this MDR-TB could account for 8.9 percent in the Philippines, 32.5 percent in Russia, and 5.7 percent in South Africa. Isolated groups of cases already show high percentages of MDR-TB. A 2012 report from Minsk, Belarus indicated a 47.8 percent rate of MDR-TB. More resistant strains have been identified, classified as “extensively drug resistant TB” and “totally drug resistant TB”. A key concern in the treatment of resistant strains is that second line treatments are often in far shorter supply, and are often considerably more expensive than first-line therapies. Outbreaks of MDR-TB in developing nations could therefore go unchallenged and potentially spread further. Innovation is required to tackle the issue. Novel medications potentially involving different mechanisms to current medications could prove effective, though development is a long and expensive process. It may be a considerable amount of time before an effective treatment is developed. Once created, funding will be necessary to ensure the treatment is accessible, especially to those from low and middle income nations which account for the majority of cases.